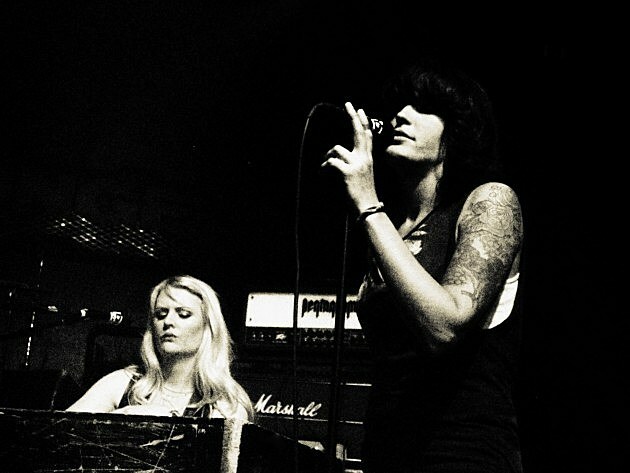 In this two-part article, Avinash Mittur documents the rise of women in the Bay Area’s modern heavy metal scene. In the first segment, Janis Tanaka (ex-Hammers of Misfortune), Chiyo Nukaga (Noothgrush), Erica Stoltz (ex-Lost Goat) and Jesika Christ (ex-Ludicra) detailed their days in the Mission when “metal” was still a dirty word in San Francisco. In Part 2, their efforts bear fruit and women take the bay by storm. Veterans and the newest batch of female skullcrushers offer their take on fifteen years of achievement and progress. 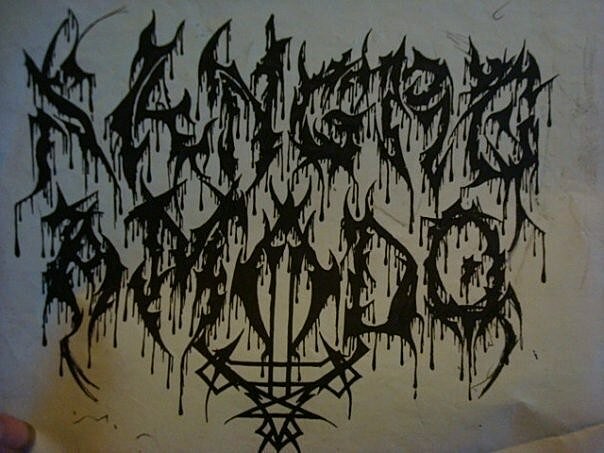 Original logo of Sangre Amado, from the archives of Jesika Christ. 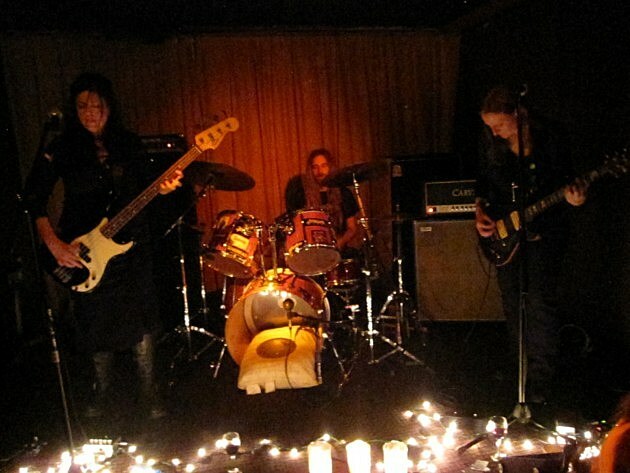 As a small bunch of San Franciscan bands formed through the late ’90s, the metal community was forged, frequently meeting on Tuesday nights for Lucifer’s Hammer, a weekly event where local acts could prove their worth onstage. It was at Lucifer’s Hammer where acts like Ludicra, Sangre Amado, Weakling and Slough Feg played to their most receptive audiences. Amber Asylum served as a musical hub for some of the bay’s most talented female musicians. 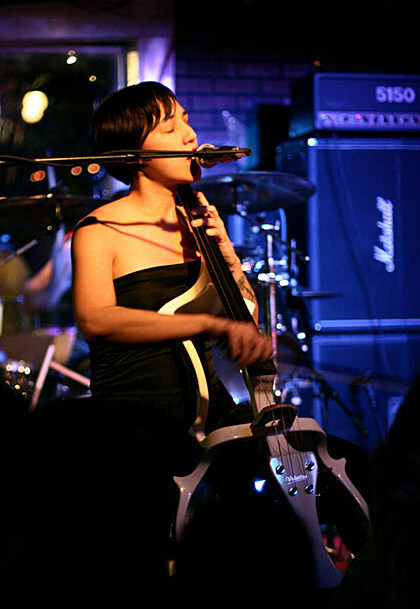 One of Force’s earliest discoveries was a young cello virtuoso, Jackie Perez Gratz. “I loved practicing at the bottom of the stairs in this one particular building at the San Francisco Art Institute because it has amazing acoustics,” Gratz recalls. “It was during one of these practice moments that Kris Force heard me playing in the halls and the rest is history.” Gratz joining Asylum and subsequent integration into the Lucifer’s Hammer scene had a profound effect. Her work is now immortalized on albums by the likes of Cattle Decapitation, Asunder, Agalloch, Ludicra and many others not counting her own acts, Grayceon and Giant Squid. The influence and impact that Amber Asylum had wasn’t merely musical, Force’s collective offered a discrete step forward for women to assert roles of creative strength and prowess in the local community. Lorraine Rath, a Mission veteran, was among those directly affected by Force and Gratz’s fearless and peerless sounds. “I remember seeing them together onstage in Amber Asylum before I ever dreamed of joining, and being truly inspired by their musicianship and their unique take on heavy. Here were these beautiful women creating intricate, delicate music with ethereal female vocals that was utterly crushing,” Rath recounts. “For me they helped to prove that heavy didn’t have to mean loud, fast, or screaming.” Rath spent time in The Gault, a death-rock outfit spearheaded by ex-Weakling members John Gossard and Sarah Weiner, before joining Amber Asylum herself. 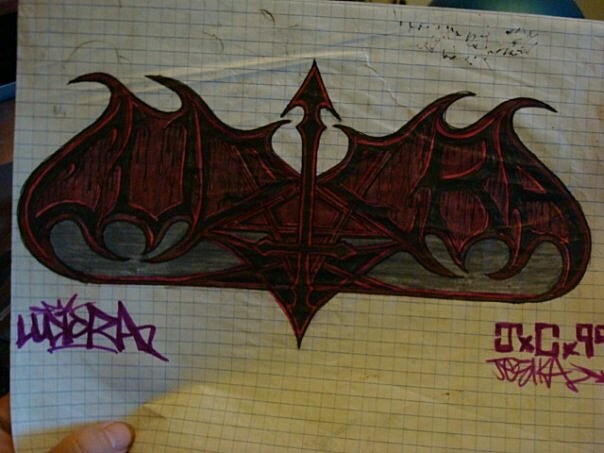 Original Ludicra logo, from the archives of Jesika Christ. After Weakling lit the flame, Ludicra carried the torch as the bay’s premiere black metal band for more than a decade. 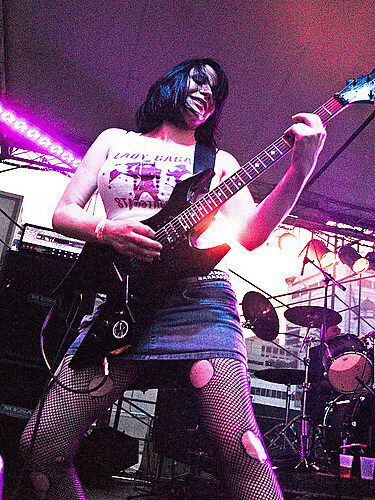 The earliest lineup of the band featured Jesika Christ of Sangre Amado on bass and vocals alongside two members of the punk/noise scene in the Mission, John Cobbett and Aesop Dekker. “Ludicra just started as a project, because we all practiced in the same studio. It was just kind of like, ‘Let’s see what happens,’” Christ explains. A second guitarist, a heavy metal staple, was required. The three turned to Christy Cather, a phenom leading the death metal charge in Davis, a small college town located hours east of San Francisco. “Christy was in this band called Missile Command,” Christ explains. “Sangre Amado used to play with them, and when Ludicra formed we were like, ‘We got to have Christy, she rules!’ She was always really good.” With Christ on bass and vocals, Cather on guitar and vocals, Cobbett on guitar and Dekker on drums, Ludicra was the bay’s first heavy metal band to feature women in half or more of its lineup. Later that year, Ludicra’s lineup stabilized with the departure of Christ and the addition of vocalist Laurie Sue Shanaman and bassist Ross Sewage in her place. Shanaman knew that changes were underway in the local scene—her own band was symbolic of the power that female metal musicians could bring to the stage. “There was completely an awareness that this was unprecedented at the time. I felt it but I can’t speak for Christy or the others. It felt new, Ludicra felt more new and refreshing than anything I will probably ever experience in terms of starting or joining a band,” Shanaman admits. Laurie Shanaman, from the archives of Brandi Valenza. Sigrid Sheie and Jesse Quattro, from the archives of Brandi Valenza. 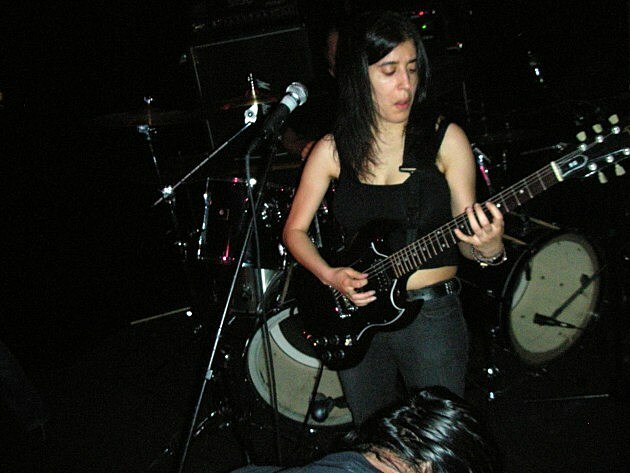 Currently one of Sheie’s fellow Hammers, Leila Abdul-Rauf was also classically trained as a youngster, and earned her onstage stripes through punk as well. Coming to the bay strictly for the purpose of starting a metal band, Abdul-Rauf drew local acclaim with the progressive death metal outfit Saros. Abdul-Rauf’s laser-like riffing and blood-curdling vocals were a wake up call for death metal fans in the bay. Not since Sangre Amado’s short reign in the late ‘90s had the bay seen a band that so gracefully combined technical precision with raw death metal fury. Lorraine Rath and Jessica Way, from the archives of Brandi Valenza. Though common issues continue to exist, the bay’s local metal scene has grown into a place that for the most part, attempts to make gender a concern of the past. 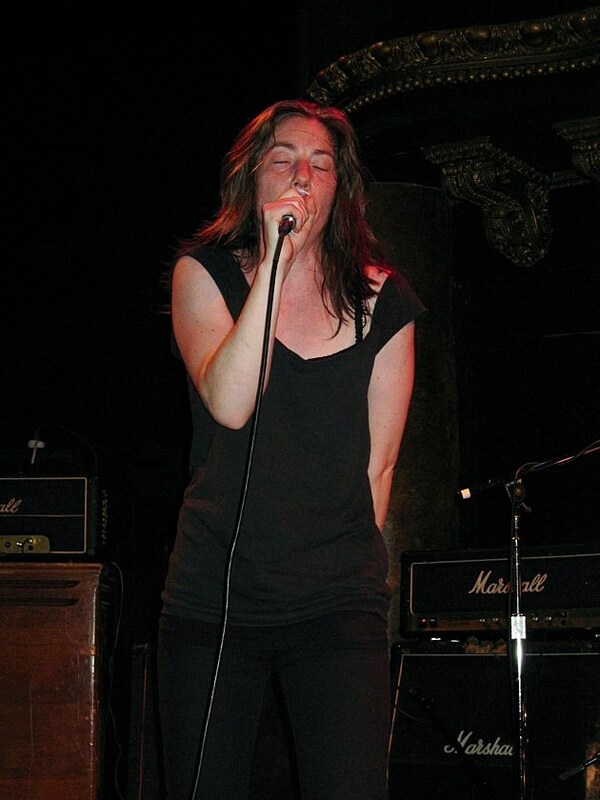 “The overall feeling I have when I go to a metal show in SF or Oakland—and especially more so now than 15 years ago—is that there is little tolerance for gender issues from men, we are all here enjoying the same exact thing regardless of gender,” Laurie Sue Shanaman says. It may be inaccurate to call the Bay Area an entirely gender-blind place for metal musicians. Social and economic adversity continue to affect female individuals on a scope wider than a local heavy metal scene, but one can easily see that the Bay Area has evolved into a more welcome place for female musicians than most others. Punk rock social practices provided the spark, local liberalism allowed the flame to burn and most of all, the drive, creativity and ability of certain individuals spread the fire. This story is more expansive than what the bay’s history has on record (and what this article has been able to cover), but it continues to be written. Every creative milestone achieved by a female musician in the bay adds another entry to the journal. The veterans and the newest generation continue to raise the standard for themselves as performers, as songwriters and ultimately, as role models for others to follow in their footsteps. Gender be damned. This article has been corected since publication. Video credits have been updated.